This Angels Camp hotel is central to California's historic gold country, with easy access to all that Sierra's have to offer. Situated in the heart of Angels Camp, the full-service Best Western Cedar Inn & Suites is convenient to gold rush towns, museums, wineries, galleries, antique shops and Giant Sequoia Forest. Nearby activities include golf, skiing, whitewater rafting, boating, fishing, horseback riding and hiking. Guests can choose a well-appointed balcony room or a two-room suite with high-speed internet access, single serve coffee maker, microwave, and a mini refrigerator. 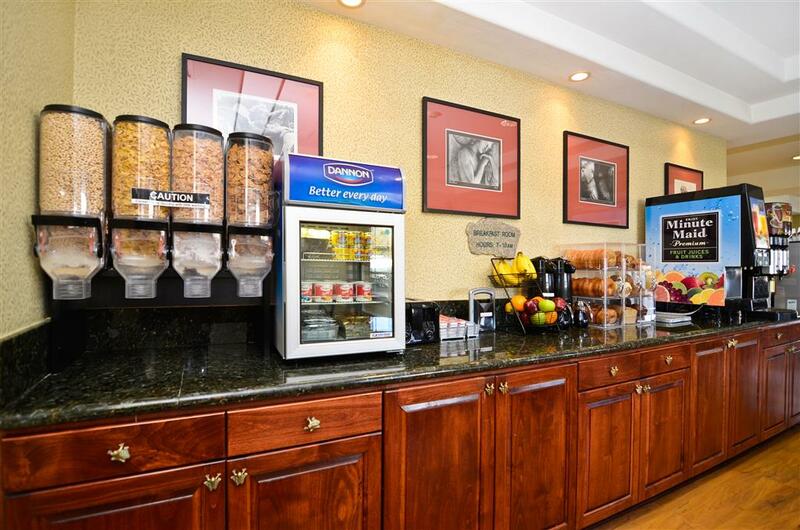 The hotel offers complimentary deluxe continental breakfast, outdoor pool and spa, exercise facility and guest laundry room. The Best Western Cedar Inn & Suites is a short drive from the Moaning Caverns and Mercer Caverns, both offering guided tours and gold panning. Other nearby attractions include: Angels Camp Museum, Columbia State Historic Park, Calaveras Big Trees State Park and the Bear Valley Ski Resort. Make a reservation today at the affordably elegant Best Western Cedar Inn & Suites in Angels Camp, California! From: All directions. The Best Western Cedar Inn & Suites is on scenic Highway 49 between Jackson and Sonora. From: Stockton. Travel 50 miles east on Highway 4 to the Highway 49 junction. The Best Western Cedar Inn & Suites is half a mile south on the right, just blocks from historic downtown Angels Camp.